You’re stuck behind a desk for ten hours a day .. the furthest you are walking is to the kitchen to fill up your coffee mug (or glass of wine). At the end of the day, you’re brain fried from honest, hard work: all you wanna do is hit the couch for the latest episode of Fixer Upper, curled up between your dog and your main squeeze. What if you could put those sweet new Nike kicks you purchased to use, or finally get motivated to use that swanky gym membership that’s deducted from your account every month? Yeah, working out is hard … but it doesn’t have to feel so impossible. And clean(er) eating doesn’t have to mean paying $60 bucks for meal delivery every week. The Kutcher Method workout plans. Once you start making working out a habit? Then, you’ll be able to next-level your game and combine these workout guides to get in a total body workout that bring out that beast-mode inner-athlete perform at it’s best. Short, easy-to-follow at-home workouts (requiring little to no equipment), so you can target your trouble zones in even just 10 minutes a day- seriously, that’s a commercial break or two! So you’re feeling motivated a bit? Maybe starting to envision a newer, stronger you? That’s awesome! Buttttt …. maybe there’s a doubt or two lingering in your head about hurdling your way into at-home workout program. And I get that. I’ll be popping in as coach to check on your progress, and keep make sure you show up even when you’re really not feeling like it. Lace up your Nikes, pop in your ear buds, turn on your jams, and get moving with your free week. Test drive The Kutcher Method - completely risk free - with your one-week free of at-home workouts. Yes! Send me my free week, Drew! I’m pretty sure you love scrolling through the squares, so why not follow me for daily tips, motivation, and at home workouts to test out! You definitely want to sign up here to make sure you get access to our best, free resources. No one likes to miss out! Join our FREE home workout challenge. Struggling to get moving? Not for long. 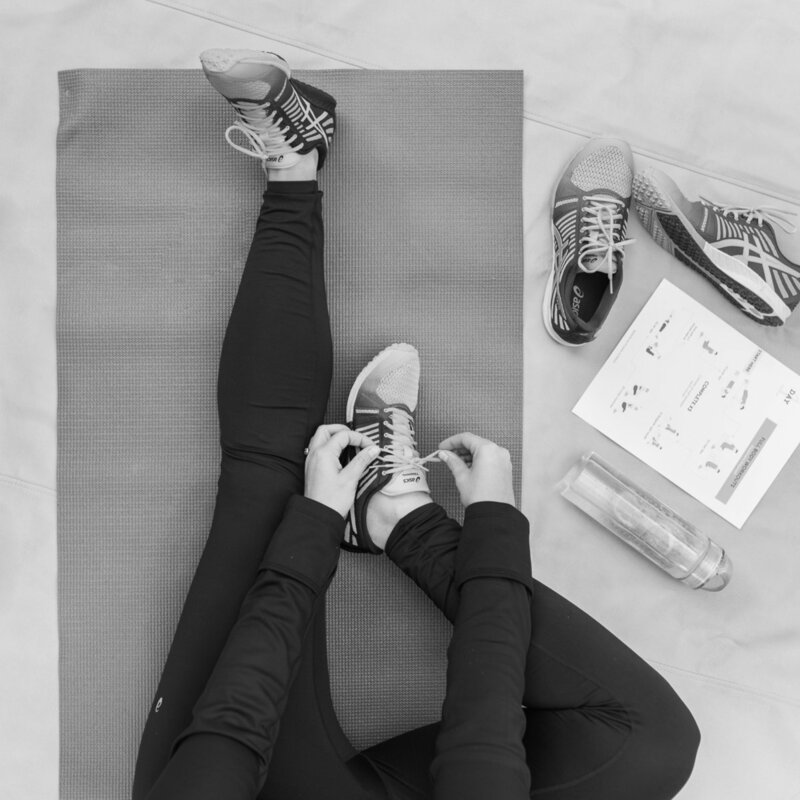 We prepped a week's worth of at home workouts (no equipment required!) and you can get them for FREE! Just 10 minutes a day can start your total transformation. Step away from the desk and get going! Get our FREE grocery list & meal prep guide. Get your hands on our EXACT grocery shopping list and one hour food prep list (yes, just one hour for a weeks worth of prep!) Grab this FREE guide to food prep your way to results and get our recipes for our favorites like: overnight oats, egg cups, and quinoa salad! Yes, please! Gimme that guide! Want the latest and greatest fitness and nutrition tips delivered straight to your inbox each week? Yeah, we thought so. You'd be crazy not to! Just pop in your info below and become a TKM insider to receive alllllll the things.